Shaun has appeared on several national television shows, such as B.E.T’s “Comic View”, B.E.T’s “One Mic Stand”, BounceTV’s “Off The Chain” & Showtime’s “1 Amendment”. 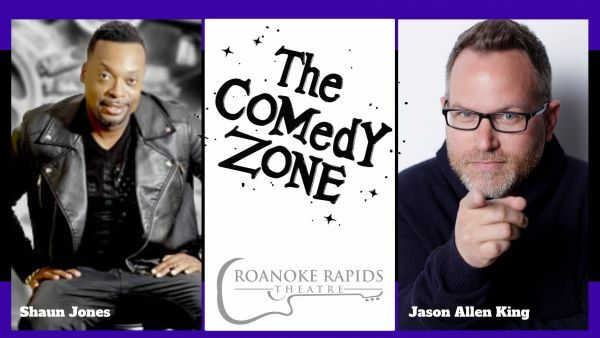 Jason Allen King is a comedian, actor, writer and award-winning filmmaker from Charlotte, North Carolina. He has opened for renowned comedians such as Brent Morin, Steve Rannazzisi, Jeff Dye, John Reep, Burt Kreischer, Christopher Titus, Colin Quinn, Bill Burr and Dave Attell. Price: $10 cover at the door.